Home Credit Card How to detect and protect Credit Cards from Skimmers ? Check ATM, POS, payment terminals to detect and protect your credit cards from skimmers before swiping your credit or debit card. Skimming devices steal all the card information stored on magnetic strip of your credit or debit card. Scammers or criminal use this card information to make a bogus card with access to account and steal your hard earned money. You will be unaware about card information theft as your transaction will go through normally without any intervention by skimmer. So it is wise to check for skimming device or tool before swiping and protect yourself from credit card fraud or skimming. These skimming devices are known as skimmers, installed directly on to ATMs, POS, credit card readers. 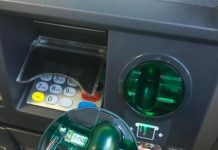 But how does a credit card skimmer looks like and how to protect your card from such skimming device. We will discuss in this article in detail. Detect and Protect Credit Cards from Skimmers ? 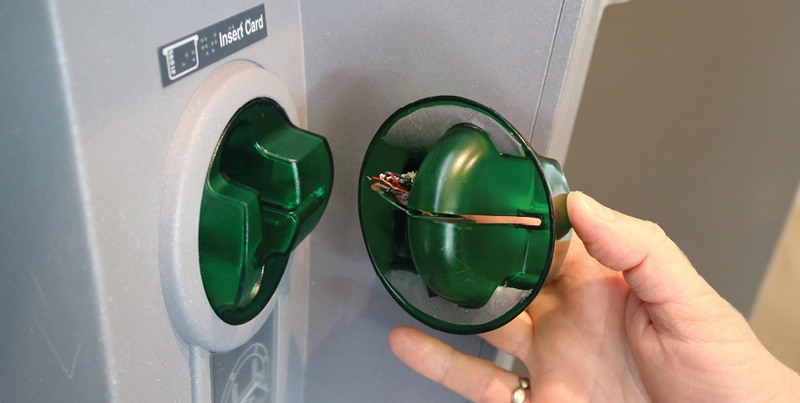 Skimming devices are most commonly used at ATMs, gas pumps or other credit card readers payment terminals. 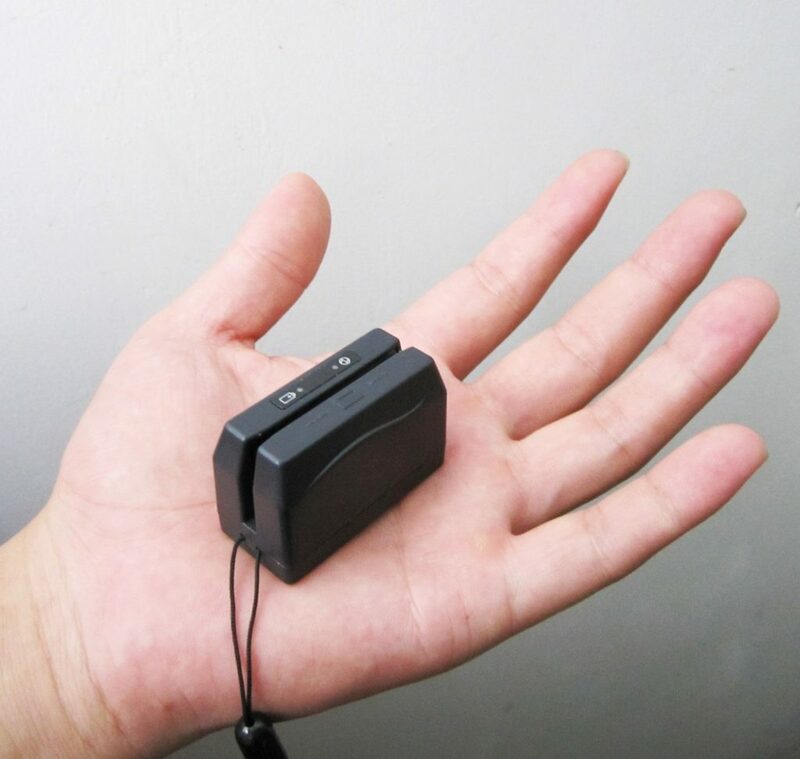 In past, it was easy to detect skimming devices as they looked awkward at first sight but the advance skimming devices are more sophisticated, small, come in different shape or colors so it not easy to detect skimmers. 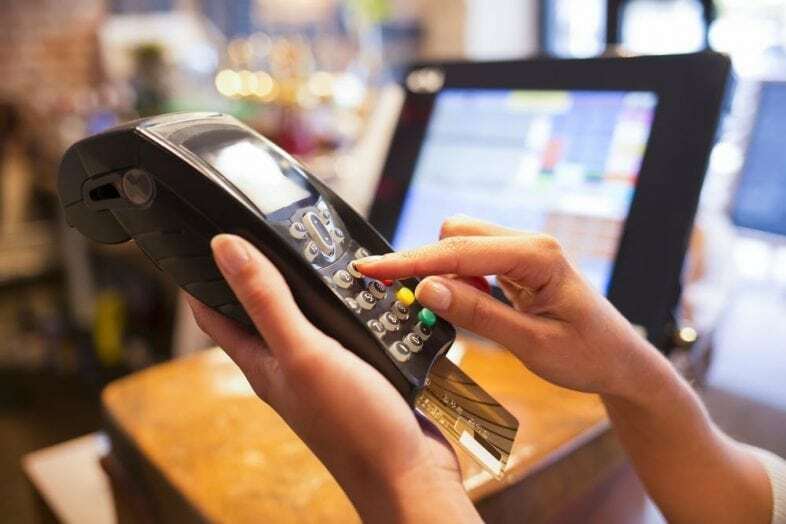 However, you can detect and protect yourself from skimmers if some important warning signs or following steps are taken care before swiping card. Always be aware and keep your eyes open while using your credit or debit card. 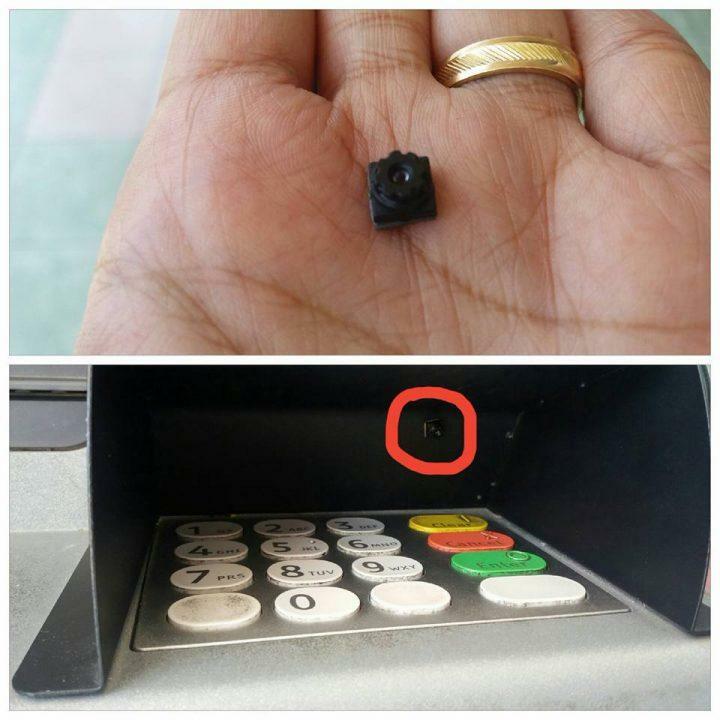 Look for any tampering with any part of ATMs like card reader, screen, key pad etc. if you find anything different or any part with different color or design than real ATMs, don’t use that ATM. Also check for tampering with POS or other payment terminals at gas station, restaurants etc. if your find any difference, move on to protect your credit cards from skimmer. Skimmers are always designed to look like as it is part of the machine and are always attached to ATMs or terminals loosely for easy removals later on by scammer. If you can’t recognise any skimmer or difference with real ATMs, wiggle everything – card reader, keypad, screen or any other parts that seems to be loose. If any part get de attached then it must be a skimmer, don’t use your card at that machine. Check for any hidden camera placed at top of ATMs or other place from where it can record keypad strokes. As fake card reader or skimmer record the card number, cvv, name of card holder, hidden camera record your card PIN when your enter. 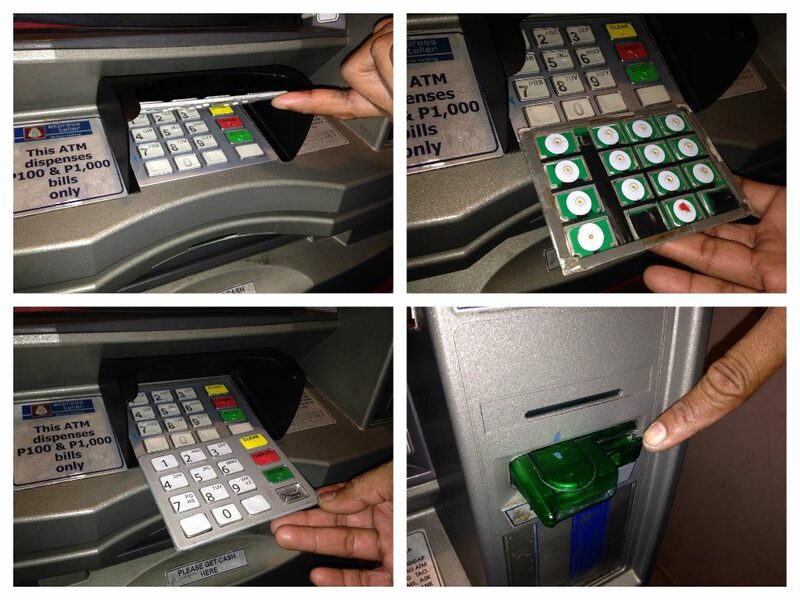 So to avoid stealing of PIN, always cover the keypad with other hand over it. You can detect hidden camera but don’t forget to check for fake key pad also. Scammers can record your PIN strokes using fake keypad over the real key pad. If keypad thickness looks abnormal or looks suspicious, move on. Always cover the keypad with another hand to protect your PIN for camera or person over the shoulder. Always use ATMs located at an inside because it provides more restricted access to scammers looking to install skimmers. Such ATMs are more safe to use. If machine doesn’t return the card after transaction or hitting cancel button. Contact your card issuer institution immediately. 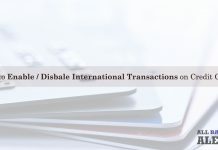 Also Read : How to enable disable international transactions on credit card ? Never handover your credit card to employees or staff working at gas station, pumps, restaurants etc to payoff the bills. There are chances of swiping your card by them through hand held skimmer by staff without your notice and thus stealing card information. Always let them use the card in your presence after through inspection of POS or handheld terminals. Previous articleWhat is Credit Card Skimming – What a Card Skimmer Looks Like ?